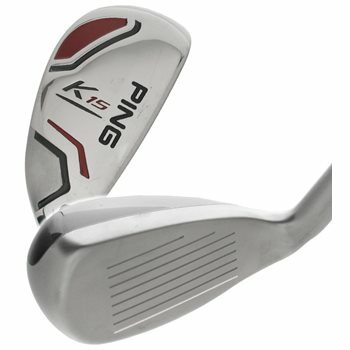 The Ping K15 hybrids share design principles with the award winning G15 hybrid. Its stainless steel head features a unique shape positions the center of gravity closer to the face and lower to reduce spin and increase launch angles for longer, straighter shots. It also features a large internal weight pad in the toe to increase perimeter weighting for maximum forgiveness and distance.